John Arndt is one half of Studio Gorm, a celebrated design office that develops furniture, objects exhibitions and installations, founded in 2007 with partner Wonhee Jeong-Arndt. Working for a range of international clients to develop thoughtful and well considered design objects and to explore self-initiated speculative projects. 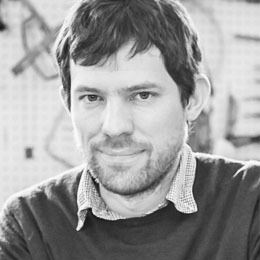 As an associate professor in the product design department at the University of Oregon, he applies insightful academic research on culture, history and technology to refocus modern design through the prism of time, exploring the transformation of objects and ideas as they evolve to fit the demands and expectations of modern life. He is also a founding member of the design research collective Furnishing Utopia that hosts workshops, stewarding design research and presents exhibitions that connect the design community and cultural institutions together. Furnishing Utopia is made up of a group of international designers that are passionate about exploring design history and culture to develop a more thoughtful approach to designing everyday objects.